Jewelry photography is a speciality of StyleExpo Photography. We have been photographing jewelry in our DTLA photo studio for over 8 years. Successful jewelry product photography requires an understanding of lighting and how to capture highlights that define and enhance the jewelry. However, it also requires an understanding of what type of styling works best for certain styles of jewelry as well as an understanding how the image will be displayed. 99% of our clients hire us to produce digital images for their Ecomm website. 99% of Ecomm images are displayed as thumbnail on the client’s website. Thumbnails can vary in size but in general they are not detail rich images as the purpose is to display a row or rows of product. Even if the website has a zoomify function, the very first experience the viewer/client has of the product is viewing it in a thumbnail (e.g., not a lot of detail). Therefore, red flags go off when a client says they want to see the entire length of the chain of their super dainty 36 inch chain necklace! And even when we explain that very little detail will be visible in the thumbnail, sometimes clients still insist they want to see the full chain. With all our years of experience, we know the end result will not wow them. We cover our bases and always do a cropped in shot of the necklace to ensure some detail is visible. As our rates our by the hour, and not per shot, for very little additional time we can ensure there is a detail rich image to provide to the client when they call us and say they can’t see much detail. 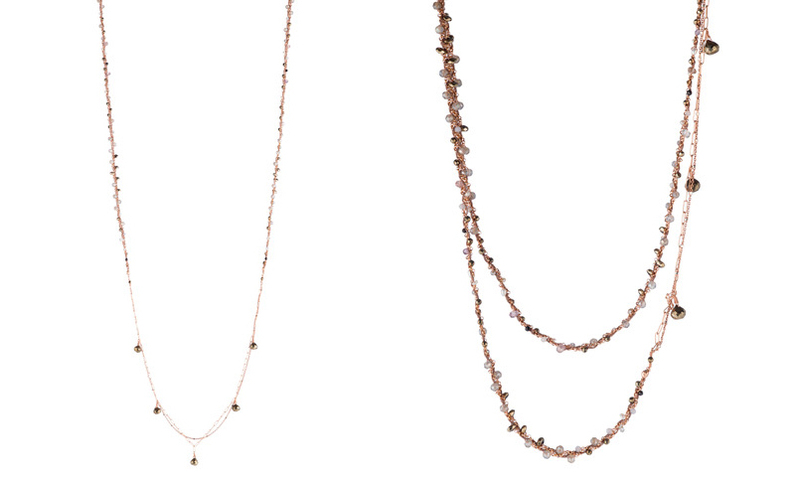 There are ways to get around the issue of displaying thin chain necklaces. One of our regular jewelry clients, Ariel Gordon, does a very good job of capturing the detail and the lengths. She has us photograph 3/4 of the chain and uses that as the primary thumbnail. Then, the 2nd thumbnail is a very cropped in image of the chain but it is only one section of the chain to ensure maxim detail. Another long standing jewelry photography client of Styleexpo is Carbon and Hyde. They take a different approach. The primary thumbnail image is a very cropped in images highlighting the main feature of the necklace. 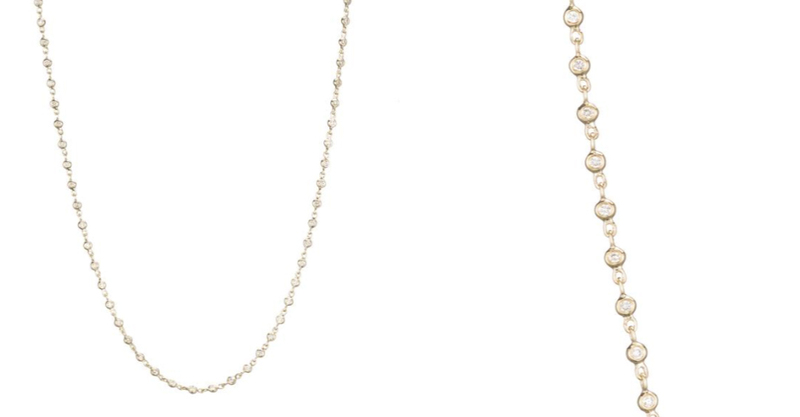 The secondary thumbnail image is a full view of the necklace that show the location of the main feature on the dainty chain. One element both of these jewelry designers do very well is to include images of their jewelry on a model to show scale as well how the piece can be worn. The professional in-studio product shots that Styleexpo produces for their clients showcase the texture, material and design of the jewelry but these lifestyle photos are a great and important compliment to the product shot. Consider doing both product photography and lifestyle photography for your jewelry. Contact us now to tell us about your next jewelry shoot or call 213-629-5500.